Nicole produced artist Lita Albuquerque’s SPINE OF THE EARTH 2012 as part of The Getty Museum’s Pacific Standard Time Performance and Public Art Festival. 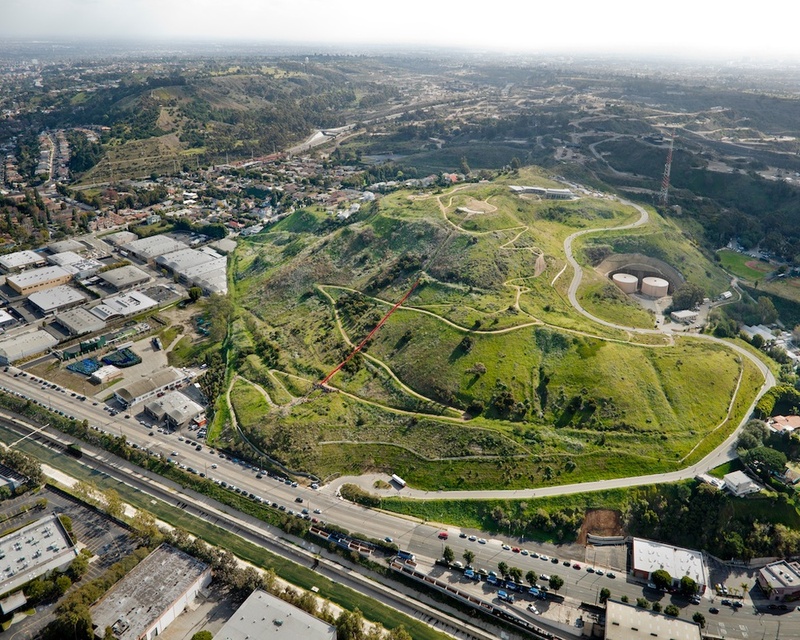 This large-scale outdoor project, set at the Baldwin Hills Scenic Overlook in Culver City, was in conjunction with 18th Street Arts Center and the Pacific Standard Time Performance and Public Art Festival organized by Glenn Phillips of the Getty Research Institute and Lauri Firstenberg of LAXART. Spine of the Earth was originally created on El Mirage Dry Lake bed by Lita Albuquerque in the Mojave Desert of California in the Fall of 1980. It was an ephemeral pigment-based Land Work incorporating a performance in which participants laid red, yellow and black pigment on the desert floor in a geometric pattern over six-hundred feet in diameter. Albuquerque used the Earth as an almost two-dimensional drawing surface. 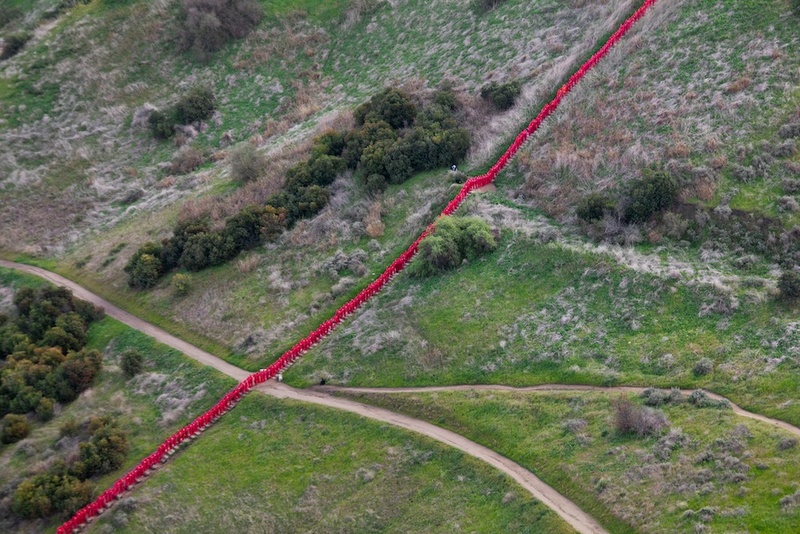 The final piece could only be seen in its entirety from an aerial view. 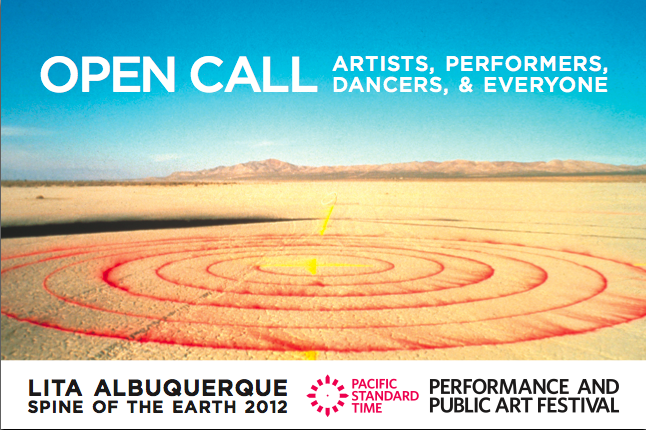 For Spine of The Earth 2012, Albuquerque re-imagined her seminal project in an entirely new context that ebodied a spectral line connecting the Earth's core to the sky above using over 300 live performers and a sky diver. In 2014, Nicole had the pleasure of working with Albuquerque again to produce An Elongated Now, a historical live art performance in conjuncture with Laguna Art Museum’s Art & Nature Festival. 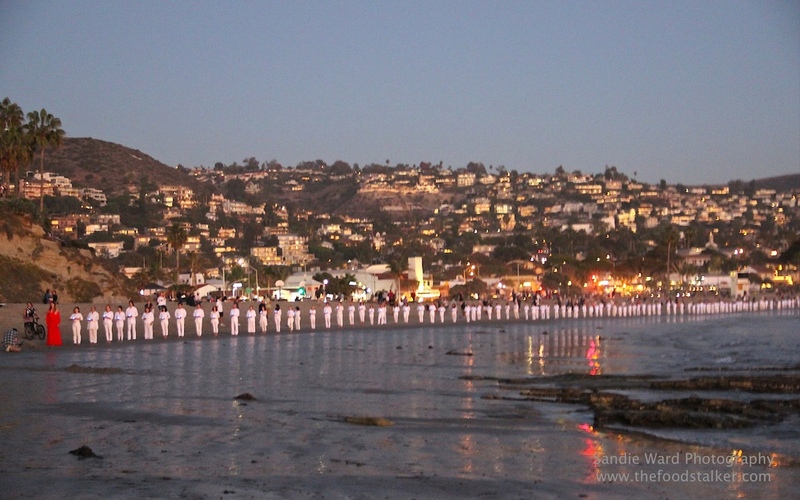 The event took place Saturday, November 8, 2014 on Main Beach in Laguna with 200 participants. Albuquerque has developed a visual language that brings the realities of time and space to a human scale and is acclaimed for her ephemeral and permanent art works executed in the landscape and public sites. Albuquerque’s work questions our place in the enormity of infinite space and eternal time. Similar to Spine of the Earth 2012, this large-scale outdoor project engaged the community in becoming the artwork itself; each individual coming together to form a single image: a sweeping arc at the edge of the sea. The artwork emphasized that it is through the collective that we arrive at an image that is larger than ourselves.